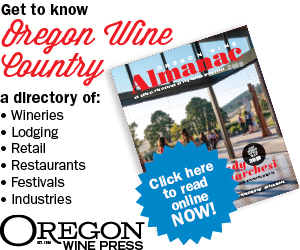 Living in the heart of the Willamette Valley, you are sure to drive past several wineries on your daily commute and ponder which will be the next you visit. No doubt, at one point, you’ve stopped in the wine aisle, looked at the prices — you were unwilling to pay — took a step back and settled for something a little south of the top shelf. In the end, you go home and drink your $4.99 bottle of Oregon Pinot Noir and start wondering what is it that makes the bottles on the top shelf worthy of your whole paycheck? What goes into that dark green bottle creating prices that range from pocket change to a luxury item? If you possess an analytical mind, this question might keep you up at night; if you do not, drink your wine and relax. 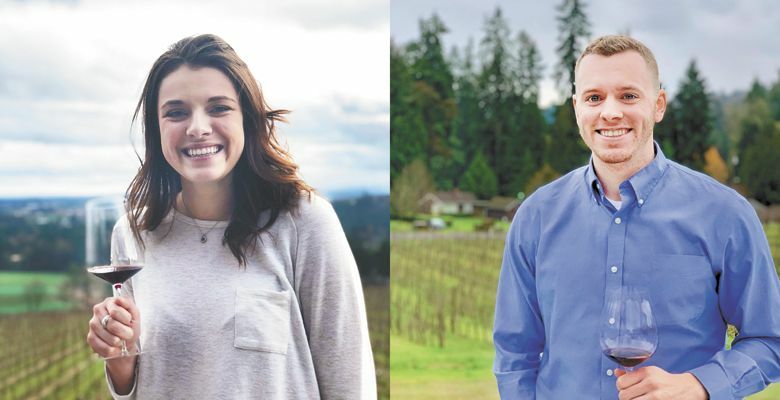 For us, undergrad students of economics and wine, we planned to combine social science with a passion, spending eight months analyzing the question: What attributes explain variation in the prices of Willamette Valley Pinot Noir? Combining our two interests into a course of study entailed exploring the streets of Beaune, where we learned about what makes a rich wine history, and also talked to the most influential people of the Oregon wine industry. We developed an understanding for the figures on price tags at the grocery store and a deeper appreciation for wine, which is so much more than fermented grapes in a bottle. On a global scale, Oregon Pinot Noir is known for a price point many can afford while not abandoning the quality once produced only by reputable French domaines. Understanding what makes one bottle cost more is something that must be considered in order to find a price satisfying both the consumer and the winemaker. Research data was collected from WineMag, winery websites and the backs of bottles. Consulting an economic cross-sectional dataset, a hedonic pricing model was created along with estimates for percentage increases using eight different variables. We used economic theory, statistics and prior knowledge about the Willamette Valley wine industry to select eight attributes we believed influence wine prices: live certified: Whether a winery has earned certification of environmentally and socially responsible winemaking and growing techniques; wine club: Whether a winery offers a wine club; barrel-aged: Whether a winery uses oak barrels for aging; alcohol: The alcohol percentage of the wine; months aged: If barreled, the time a wine was aged; rating: The wine rating given by WineMag, varying between 80 and 100 points; vintage: The year the grapes were harvested; years in business: The number of years a winery has been in operation. We believed the inclusion or increase in each attribute would positively affect and raise the price of a given bottle. With the eight variables, we collected data from wineries within the Willamette Valley to test the significance of each attribute. Acquiring all necessary data points from each winery proved a significant task because not every winery listed all this information on their websites. We were able to complete our database by finding missing attribute information on wine review and wholesale websites. We compiled complete information from 63 wineries throughout the Willamette Valley and tested the attribute data against the wine prices. A hedonic pricing model determined which variables had significant roles in deciding prices for Willamette Valley Pinot Noir. Our final testing indicated three of eight variables proved significant in our data: LIVE certification, alcohol percentage and rating. The inclusion of a LIVE certification increased wine prices by 27.8 percent, meaning additional costs acquiring the certification and maintaining the standards are passed on to consumers willing to pay it. This could result from some consumers being conscious of where they spend money and valuing a winery devoted to environmentally friendly and socially responsible techniques. We also found for each additional percent increase in the alcohol percentage, wine prices increase by 15 percent. The alcohol content can impact prices because the higher percentage can indicate grapes harvested were riper than those of lower-alcohol percentage. Consumers may prefer these wines or associate higher-percentage wines as “more luxurious.” The significance of this attribute surprised us. We never assumed alcohol percentage would influence Pinot Noir prices by this magnitude. Rating associated with the bottle of wine predicted that with each additional “point” in rating, the price increased by 12.8 percent. This positive relationship results from consumers wanting to buy “proven” wines, thus allowing wineries to increase these prices for consistently high-rated wines. The significance of this attribute was understandable; similar to other products, ratings — whether good or bad — by respected reviewers strongly influence which products are chosen from the shelves by consumers. We believe the findings from our research at Linfield College can benefit winemakers in the Willamette Valley in making and pricing their wines. For example, a winery considering the steps to obtain LIVE certification can use this information to see if the expected costs are lower than the predicted return on their investment. The three significant attributes had positive effects on wine prices as predicted, although the level of their significance was worth noting. Linfield offers students a rare opportunity for hands-on learning experiences in the Oregon wine industry. Our study allowed us to further our understanding of economic terminology and theories while pursuing our passion for wine.